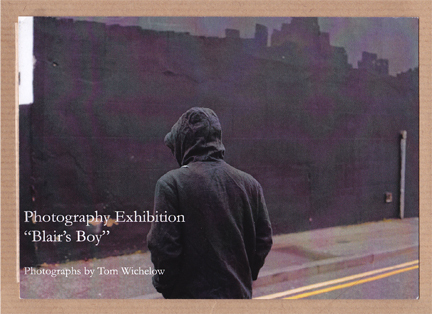 Featured alongside Tom Wichelows work is a very different exhibition by Anastasia Trahanas. Entuitled Naked Britain / Exposure Trahanas began the project in 2005 working in collaboration with her subjects with them choosing the location they wast to be photographed in whether it be a public, private or intimate place. The idea behind the series is to document the ‘self’ as an individual as well as their response to society. Each of the images is accompanied by text explaining the subjects choice of their location. It is this featured text that makes the images powerful and thought provoking. Tales of a struggling single mother with an autistic child and stories of abuse bring a harrowing feeling to the well composed and thought out images and it left me quite saddened by the subjects situations. ~ by emmamitchell2010 on October 11, 2010. This entry was posted on October 11, 2010 at 3:30 pm and is filed under FDP 201 Web Design - Research, Exhibitions etc.You can follow any responses to this entry through the RSS 2.0 feed.You can leave a response, or trackback from your own site.